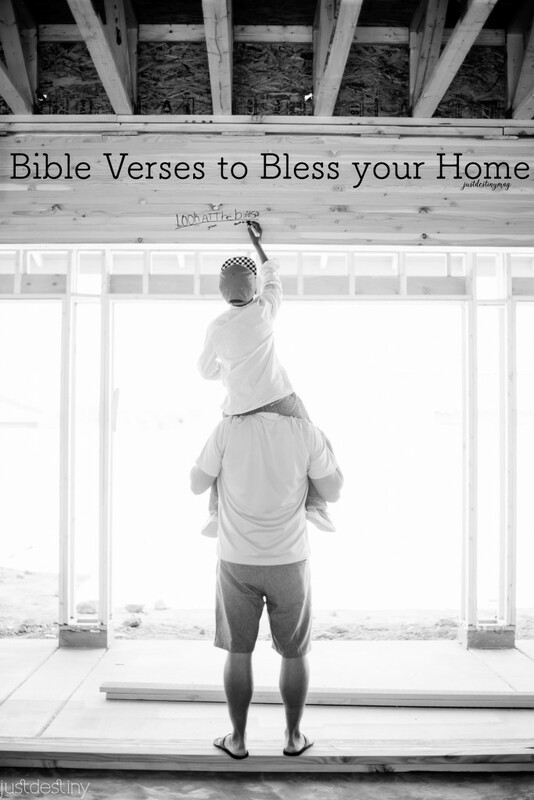 If you are looking to bless your new build, check out these great bible verses to write on the walls of your new home! The house is coming along very well friends. Thanks for all the love notes you guys have been sending us via Instagram and Facebook! We are very excited and I’m sure thankful to be sharing this journey with you all! 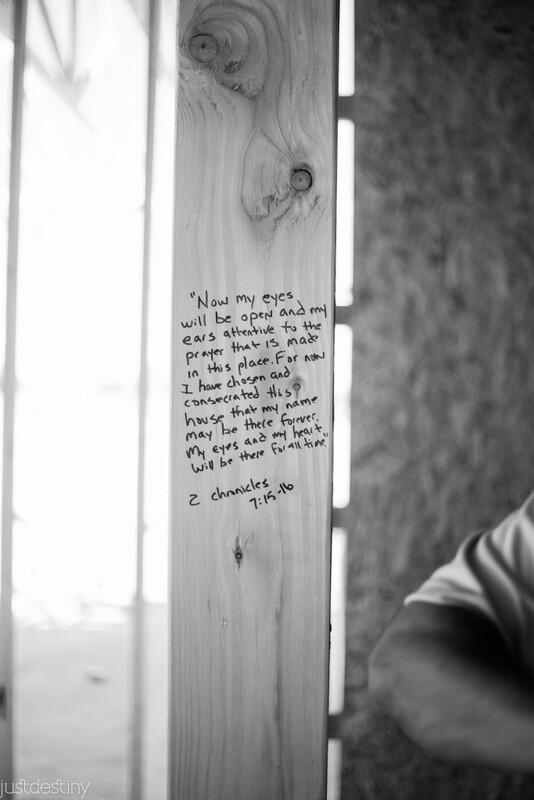 We had this idea to write bible verses on the studs of our new build long before we broke ground. But after talking to friends and family and YOU, the idea kept coming up over and over. So I knew it was something that we had to do. We had some great ones in mind that have been special to our family and we also picked up a few here. 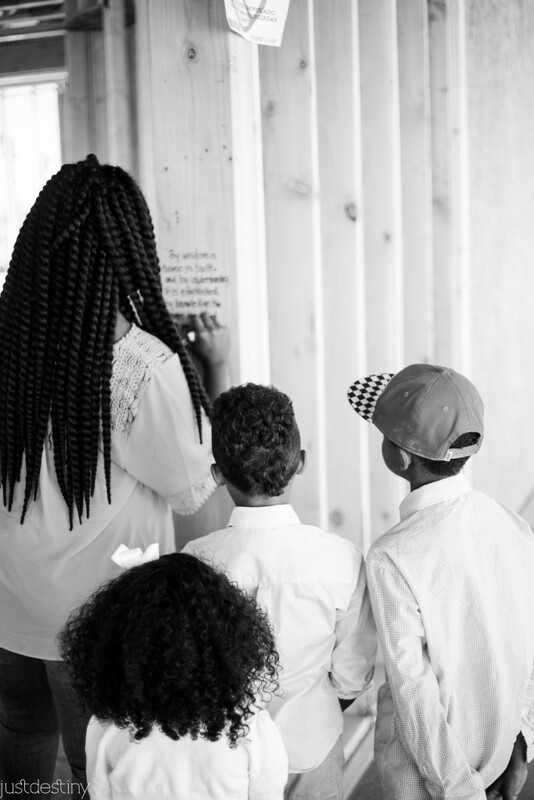 We also let the kids write some on the walls as well because we really wanted them to be apart of the experience and they LOVED it. They kept wanting to write more and more!! 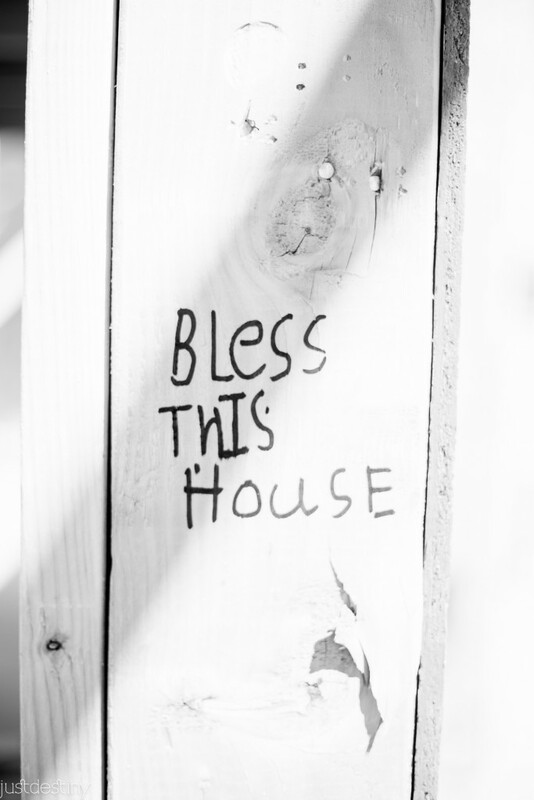 Plus when we visit the house, they immediately go the spot were they wrote “their” verse. It’s so sweet and I’m praying that it will be one of those memories that really STICK. Moving can be a stressful time. It sure has been for us. Doing this has really allowed our family to focus on the blessing and be humbled by the gift that he is giving us. We are in AWE to be here you guys. It’s a dream come true and we pray that we are good stewards of all that he has given us. I love this. Reggie and I always say it in away that cracks us up. We’re goofy like that. ” Listen…. ya’ll can do what you want, worship all the gods you want, but as for me and MY house, we gonna serve the LORDDDDDD! Bye.” haha. We had Livy girl and her super cute kinder handwriting write this one on the walls in the kitchen. Stand firm in your faith friends. Serve the Lord and don’t be ashamed to do so! 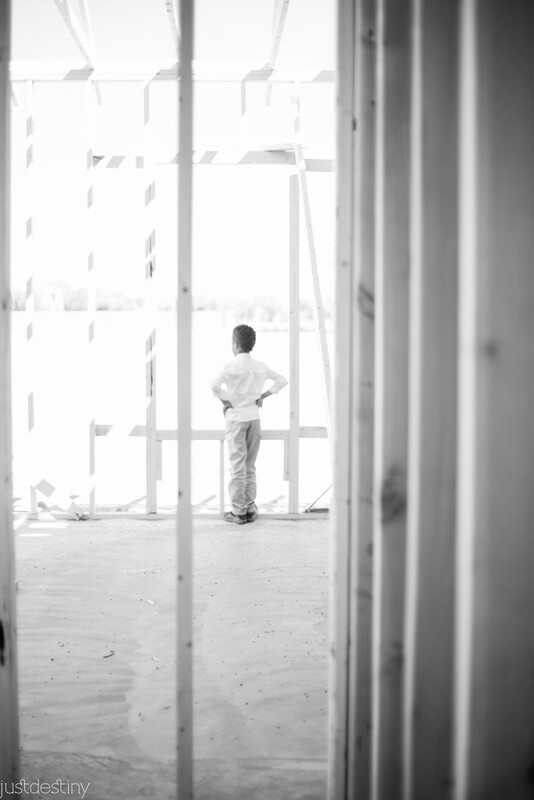 Building a house can be compared to building a life. Making sure the foundation is solid as concrete. Laid perfectly with little or no cracks but with a enough tension so that the house settles well over the years. 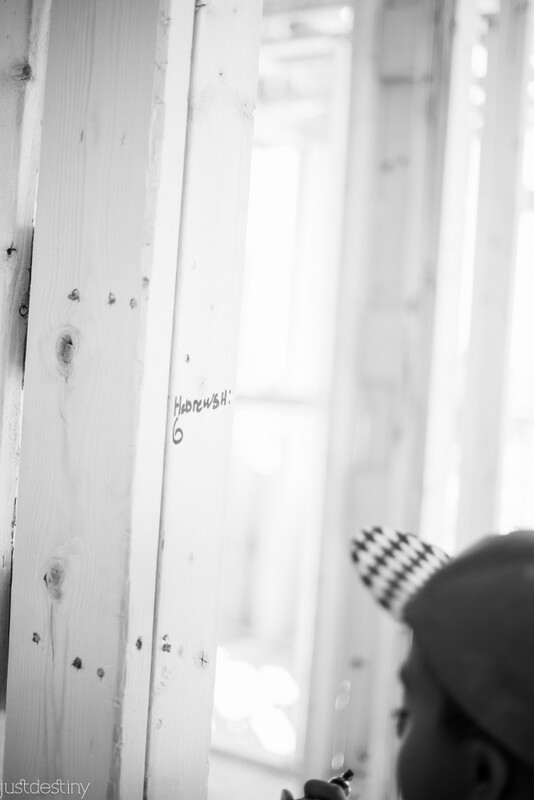 Then comes come the electric, installation, drywall and the roof. All the details that build walls of understanding and knowledge. Precious and pleasant riches can be anything from the coziness you create, your grandmothers dishes, and of course the precious children you raise. God says the storms will come. Life will hit you. It maybe health, your kids, your marriage or any other relationship you have. The storms will come. But the house that is built on a rock will stand. Praying that we continue to seek that strong foundation for our family. This verse comes from 2 Chronicles and God is speaking to Solomon after he asks God to bless the temple that he built in His name. This is God’s promise to him and answer to his prayer. 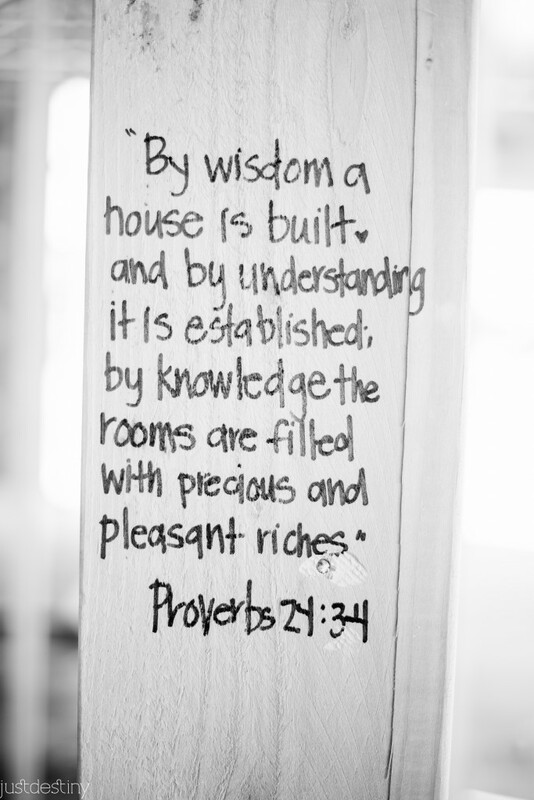 I want my home to be a place where God dwells. Where his eyes and heart will be for all time!! It reminds me of the song ” Holy Spirit you are welcomed here, come flood this place and fill the atmosphere.” We know that God dwells where ever he wants but the act of humbling asking him to dwell in our home? Yes. Holy Spirt make yourself know in the walls of my home and heart! I don’t know about you but I want a peaceful house and I know I can’t achieve that by myself. This a simple blessing prayer to say as you enter any home. 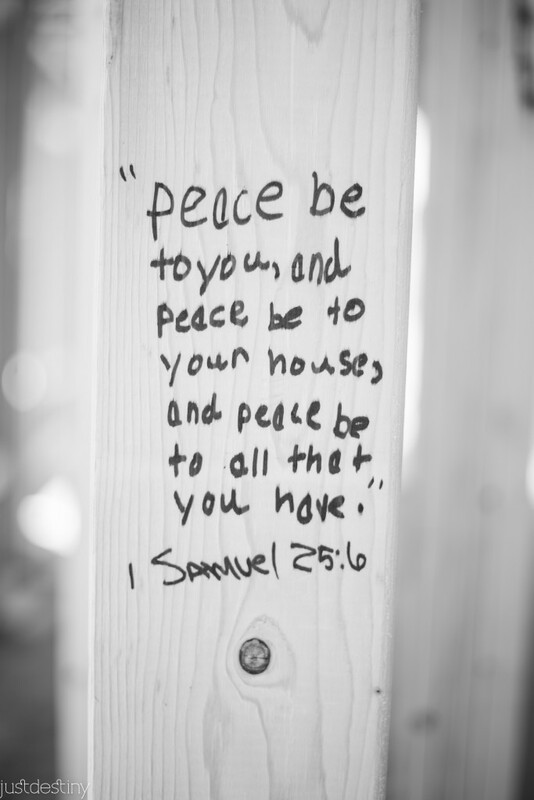 This verse is found in 1 Samuel as a blessing and greeting on the household of Nabal before he completely disrespects Davids men:0) We had our little Bear write this one by the front door. Love. Here are some other ones that we added…. 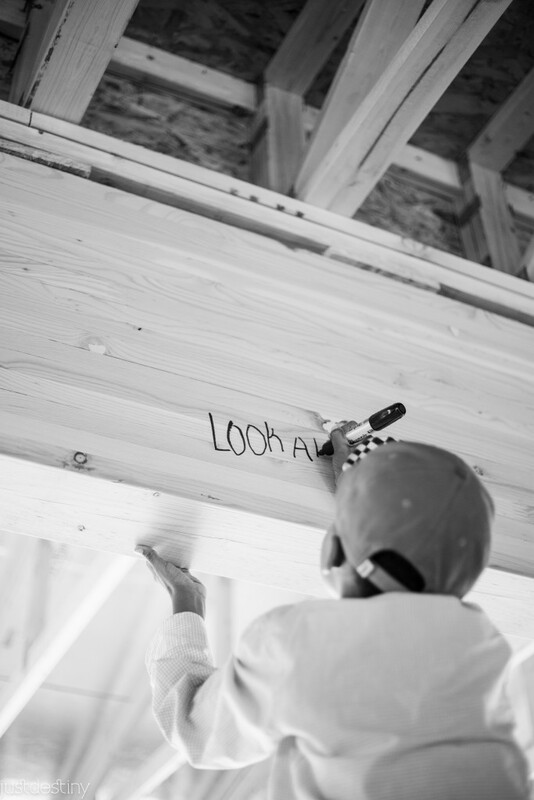 Hope that you are able to do this if and when you build your new home or even when you remodel! It’s never a bad idea to have to word of God covering your home! We still have time to add more! Give me one and I will try to make it happen! If you didn’t have time to write scriptures on your wall or for someone else these scripture decor options make great gifts! We have a few in our home and they are great reminders! I can just see the construction workers coming in on Monday, to work, and being blessed too! 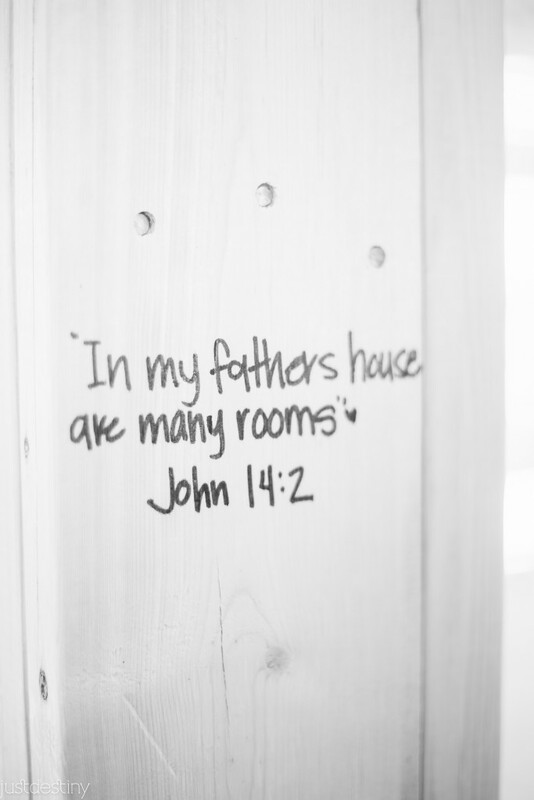 When my husband and I refurbished our apartments, all walls and floors and ceilings had scripture verses behind the painted walls thar we wrote on them. Every ne who has rented them always said they can feel a sence of peace in them. They ddnt know about the scriptures on the walls. . I would LOVE to put one of these on a sign for you in the future! Where did you purchase your front door? I love it. Totally fell in love with your home! I came across your page while researching for new home ideas for my new apartment. 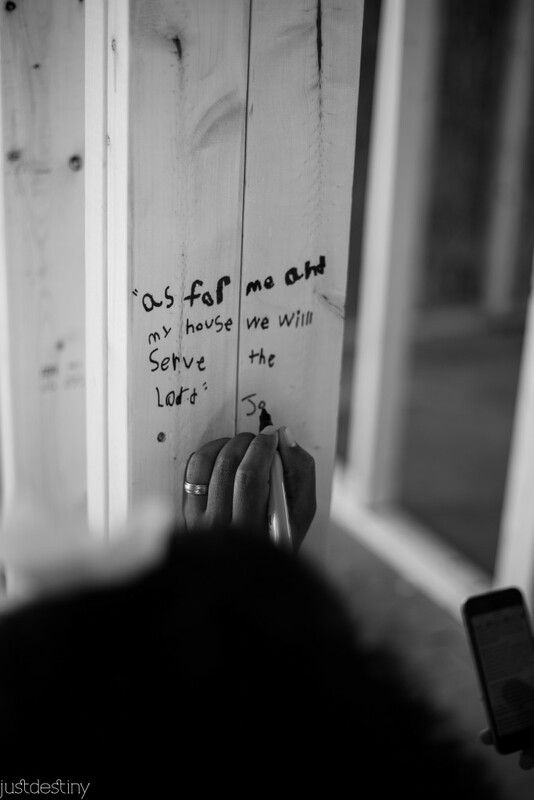 It’s so beautiful to dedicate the home to the Lord. I’ve planned to pray over the place on the day I collect the keys. 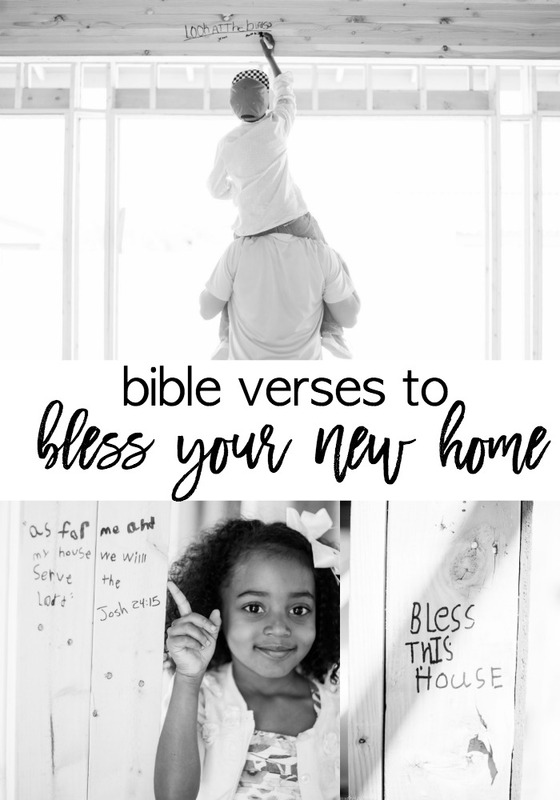 Thank you for sharing this, it has inspired me to think through what it means for each space in the home and lay a bible promise to bless each space. God bless! So very sweet, precious, and heart-felt. Thank you! 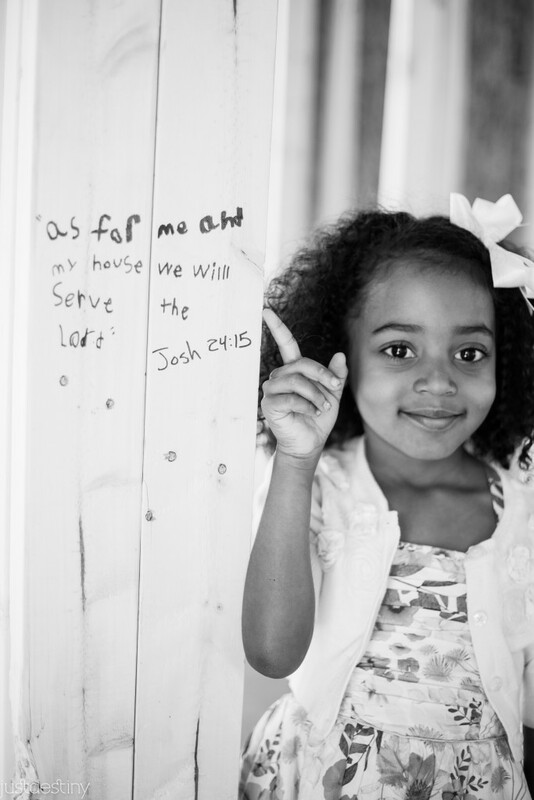 Joshua 24:15 is my favorite “home” verse! I love your interpretation of it! As a former New Mexican, now living in Tennessee, y’all say it like I say it! 😀 Blessed be! I googled “bless your heart.” (That’s a completely different story.) I landed here. Thank God our Father for the Holy Spirit. I was able to bless my neighbor’s apartment without even having to “think” about it. I love it!! Peace and Love! WOW! I love this so much! Thanks for sharing! 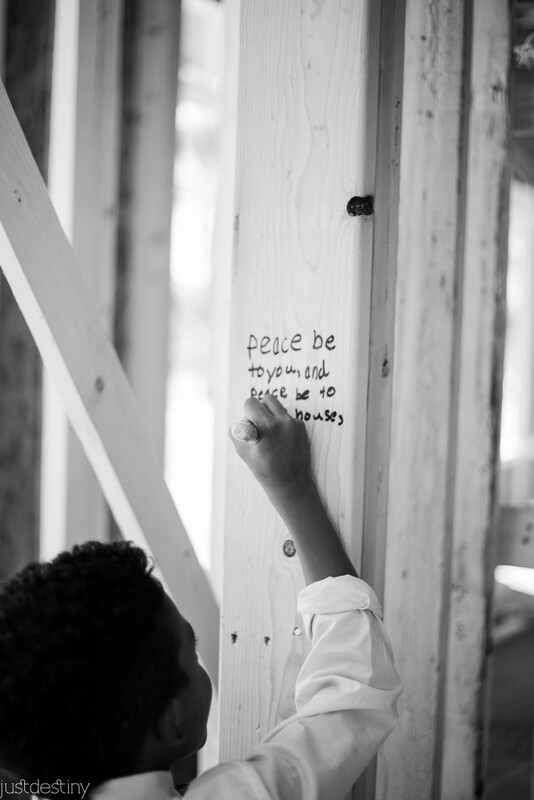 Fantastic idea…we are building a new house…our last one…and are planning to do this when it is framed. God bless! I just said a prayer for you and your husband. God bless you and your home Maria! 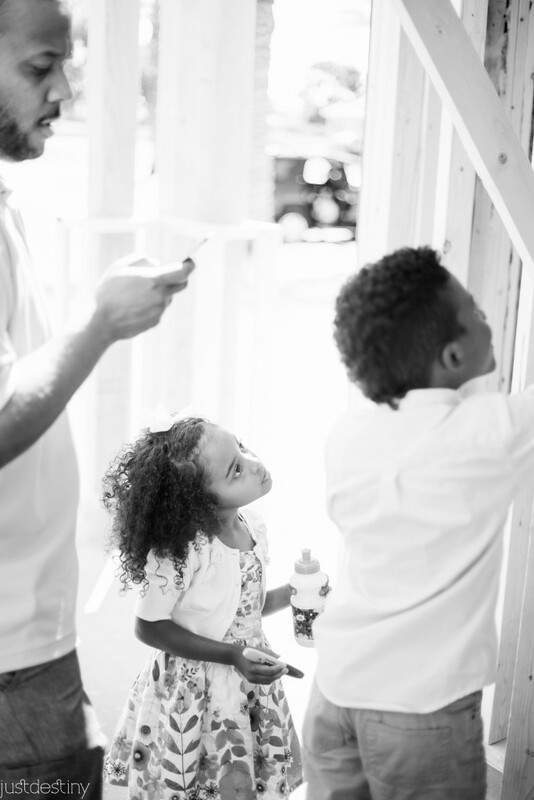 What I love about this post is the explanation of the verses and application to your own family…love the pictures as well…the very act imprinting God’s words on your children’s hearts. Continued blessings to you and yours. God blessing. Amen. Thank you. 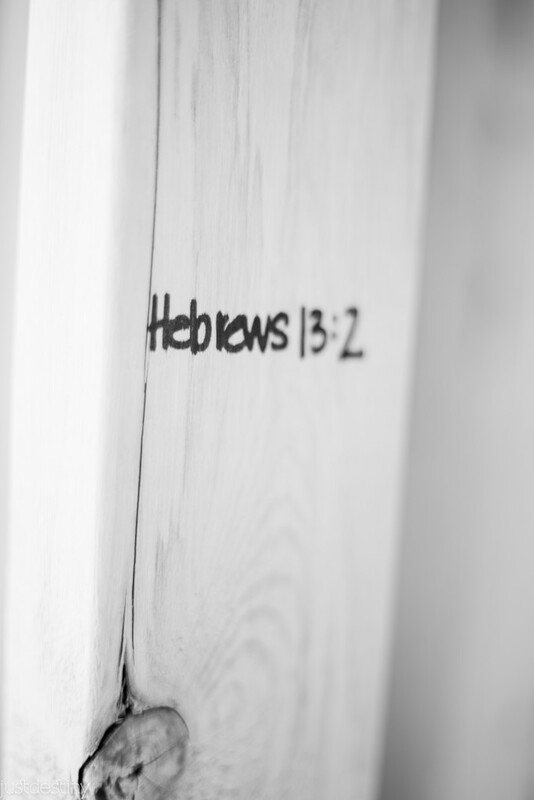 Covering your home with the Word if God!! Thank you for these. My friends are being challenged due to their openness to open their home to prayer & worship & waiting on the Holy Spirit. We will be anointing their home. These scriptures help me know how & what to pray. This has blessed me so much!! Thank you! Destiny, I ran across your website in the process of giving a friend scriptures for blessing his new home. This was just what I was looking for. Thank you for your obedience to God for sharing this. I am a mother of two grown daughters 35 and 31 who are both waiting for Mr. Right. Are there scriptures you can recommend to encourage them ? Also please touch and agree with us that they will meet the men that God has created just for them in his timing. Blessings!